All you need is the plan, the road map and the courage to press on to your destination. - Earl Nightengale, Personal Development Pioneer. Websters defines a Nomad as an individual who roams about and moves from place to place. This blog is dedicated to the proposition that real world travel involves adventure and a willingness to search out and embrace the unexpected. To boldly go where no Nomad has gone before. And it helps if you have a willing partner. An Architect, on the other hand, relishes the very thought of planning and designing anything. Houses, cities, a meal or a trip to the beach. This is particularly true of travel. I have listed several books, web sites, and blogs you can get critical info from for "designing" your next adventure to the continent of your choice. The internet has completely revolutionized the travel industry. It has allowed people to locate, research and plan amazing travel options that, back in the day, were only available to the rich, the well connected or your local travel agency. Google is your best friend when planning your next adventure to the hinterland. Just click on the highlighted links listed below for more informative web sites and blogs to help in your travel planning. And, of course, check out the lists, popular posts and other info in the sidebar. I have also included websites with simple itinerary and budget forms to help in planning your next trip. So happy trails and don't forget the cork screw!! Steves is the master on traveling like a local. Great info and insight on culture & customs. 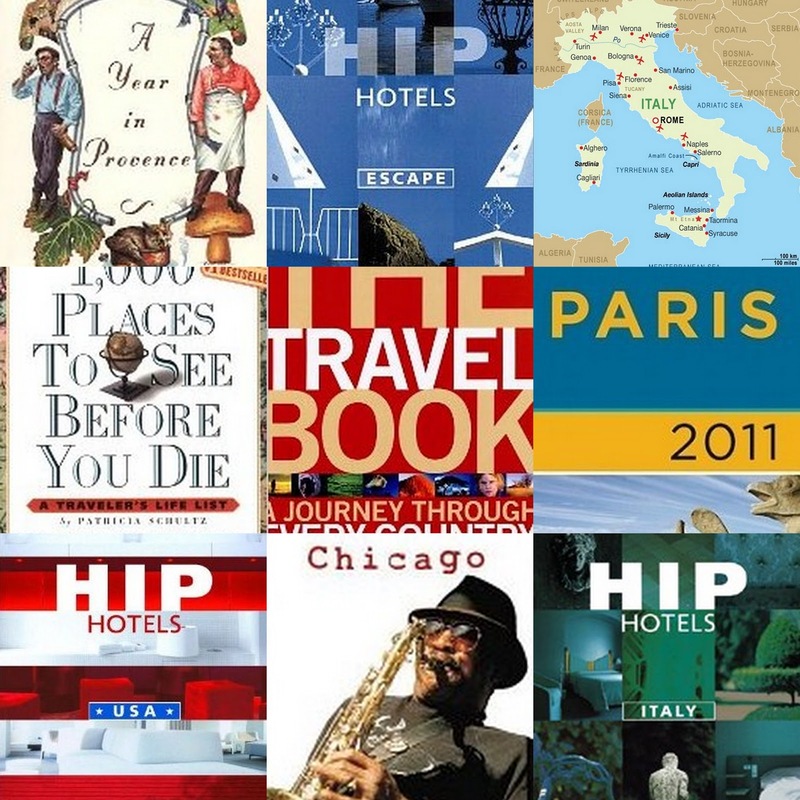 Every traveler should have every Hip Hotel book in their library for cutting edge places. These are invaluable for the Nomad that wants to get off the main road. Excellent, full color guides showing you the hot spots and the less well know. Written by an architectural graduate, these are great for discoveries in big cities. The title is self explanatory and should be in every traveler's library. The best small maps for the urban traveler. They fit right in your shirt pocket. Required reading for Provence travel - a witty account of a transplanted Brit in southern France. The best is not always last. Check out my posts on everything you ever wanted to know about design centered travel but were afraid to ask. This site has hundreds of travel blogs listed. Just click and dream. 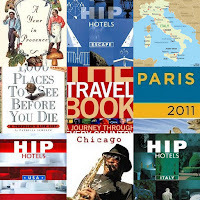 The big kahuna of hotel review sites with a great search engine. But don't believe the prices. Great reviews & planning tools. Lot's of info and opinions on where to go and what to do. This is a great personal journal about places near and far around the globe. The Travel Channel guru takes you places nobody has ever been - but it's worth checking out. The perky star of The Travel Channel has witty insights on places and people. The guru of gurus gives real time opinions and info on world travel. Their are a zillion different forms and templates available for setting up an itinerary and budget for your next worldwide trek. The web sites below, in Word and Excel, have very simple, downloadable forms. Just edit and change as you see fit, save and print.